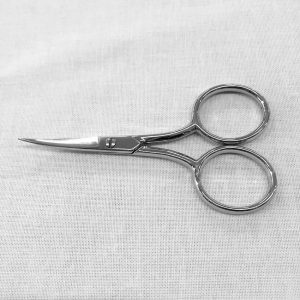 For decades, we have been supplying the UK with quality trimmers, shears, thread clippers, embroidery and needlework scissors, and even left-handed scissors (we hadn’t forgotten about you). 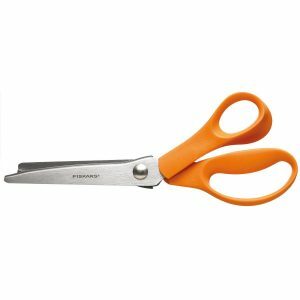 William Gee only supply top-of-the-range Fiskars Scissors, which are better-priced than the majority of online retailers. 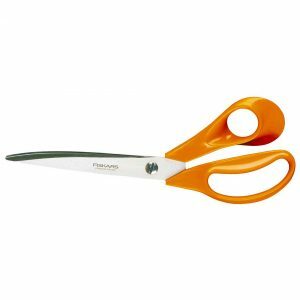 We’ve been cutting edge for a while now, didn’t you know? 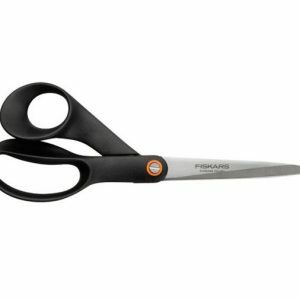 For long lasting scissors and shears, check out our Fiskars Scissors Range. 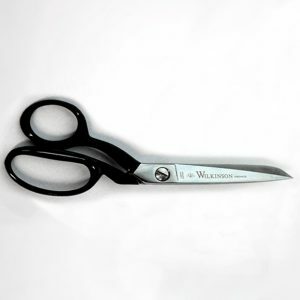 William Gee stock scissors for both personal and professional use, and the high quality, stainless steel scissors are a cut above the rest! 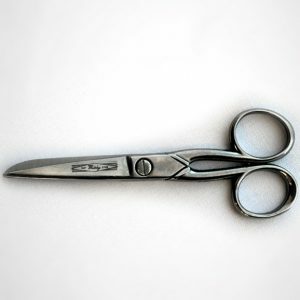 We stock durable, highly ergonomic scissors which perform time and time again, allowing you to seamlessly cut away, and the ease and comfort of our scissors will mean you won't have to stop to give your hand a rest between every cut. 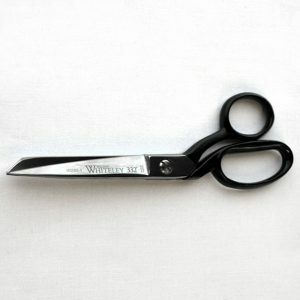 Lightweight Scissors WILLIAM GEE: THE HOME OF HABERDASHERY, FASHION DESIGN EQUIPMENT & SEWING SUPPLIES. Lightweight scissors are an essential for any sewer or anyone in the fashion industry. 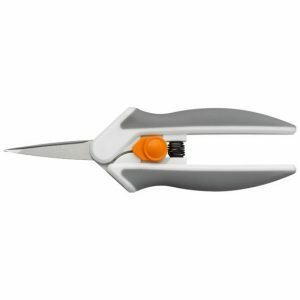 They are designed for delicate work with a superfine pointed blade, and are perfect for cutting individual threads and smaller scale projects. 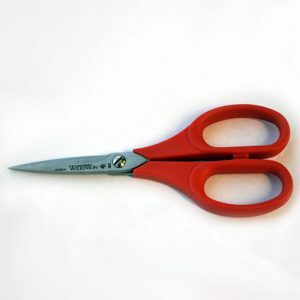 We also have a stronger pair- the 5060 Scissors which are capable of cutting carpet, underlay, fabric and crafts. 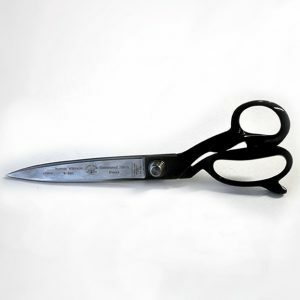 If you're unsure which scissors suit your project, contact us today and we'll help you find what you need. 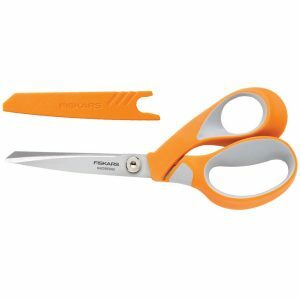 Pinking Shears WILLIAM GEE: THE HOME OF HABERDASHERY, FASHION DESIGN EQUIPMENT & SEWING SUPPLIES. 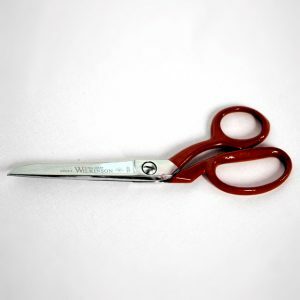 Every fashion house needs a pair of Pinking Shears- they simply cannot run without one! 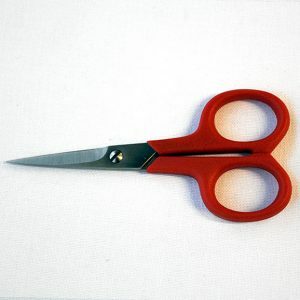 And our 1975 pinking shears are hard to beat. 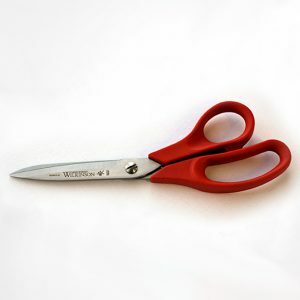 They literally are a cut above the rest. 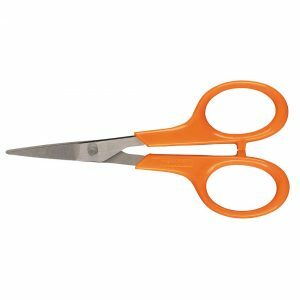 Whether you want to reduce fraying, or purely to create a decorative zig zag pattern, these scissors will cut perfectly time and time again without having to change blades. 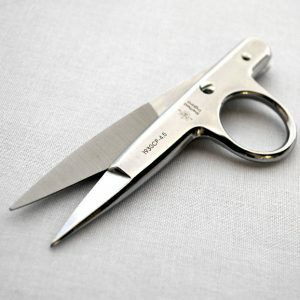 Why not come into our shop at 520 Kingsland Road, London E8 4AH to see them for yourself? 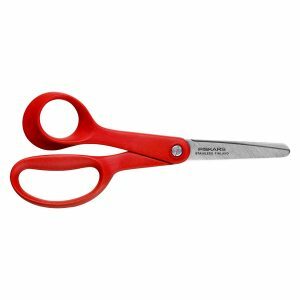 Rotary Cutters WILLIAM GEE: THE HOME OF HABERDASHERY, FASHION DESIGN EQUIPMENT & SEWING SUPPLIES. 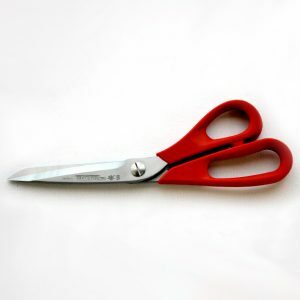 For long lasting rotary cutters, you've come to the right place! 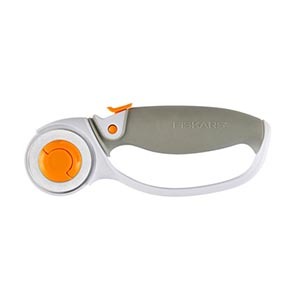 William Gee stock both Fiskars and Olfa rotary cutters - including stainless steel blades and the trademarked Fiskars no-touch blade changer tool! 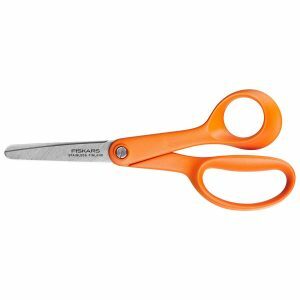 With rotary cutters for both personal and professional use, our high quality, stainless steel scissors are a cut above the rest! 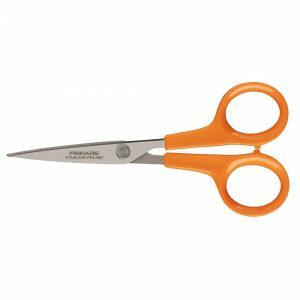 We stock durable, highly ergonomic scissors which perform time and time again, allowing you to seamlessly cut away, and the ease and comfort of our scissors will mean you won't have to stop to give your hand a rest between every cut. 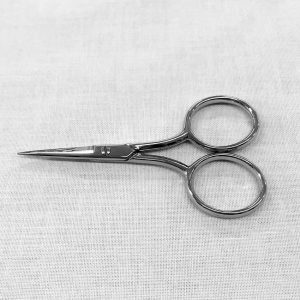 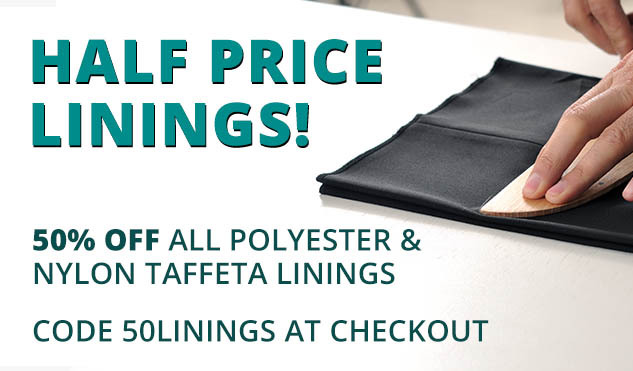 We stock over 9000 sewing and haberdashery items at William Gee, and not everything we hold in our warehouse is currently available online. 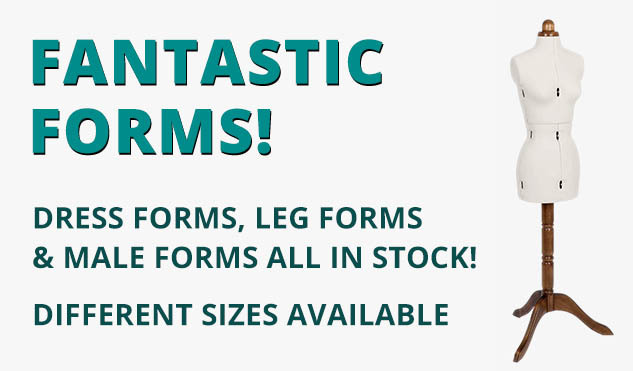 If you cannot find what you're looking for, please call us on 020 7254 2451 or contact us here, and we'll do our best to stock what you need. 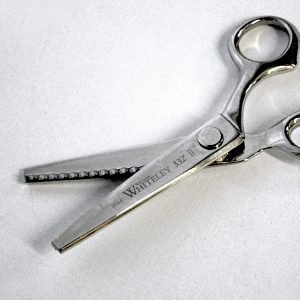 Thread Clippers WILLIAM GEE: THE HOME OF HABERDASHERY, FASHION DESIGN EQUIPMENT & SEWING SUPPLIES. 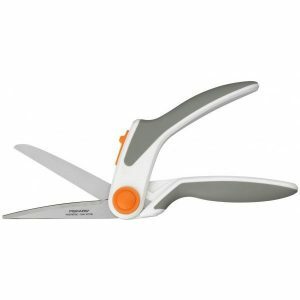 For intricate and delicate cutting needs, look no further. 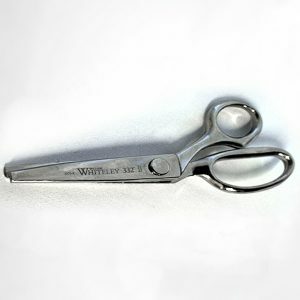 Whether you call them snips, snippers or thread clippers, William Gee ensure that you always have a selection of your favourite pair of thread clippers at hand. 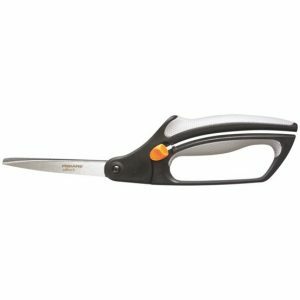 Choose from metal or plastic clippers, both perfect to do your small (but very important) jobs such as unpicking stitches, trimming seam allowances and cutting loose threads.